America Revealed: Can The Law Treat A Blogger Differently Than A Print Journalist? Can The Law Treat A Blogger Differently Than A Print Journalist? 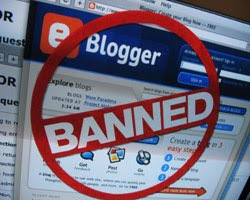 SPaul note: In 2010, some 70,000 Blogs were canceled when Burst.net shut down after FBI informed them that Blogetery hosted some Al-Qaida materials including hit lists and bomb making tips. It was considered by some as an attack to shut down the voice of people NOT controlled by corporate controlled media in part as an action to prevent news and opinion from We the People from being known in order to more effectively control information. Are we there again? The last few weeks have seen websites and blogs forced to fight back against copyright bullies, frivolous lawsuits and the United States Government. Now, in Maine, a blogger has been forced to use the First and Fourteenth Amendments to the Constitution to fight back against the State's attempt to use its election laws to penalize him for anonymous posts he made in criticism of a political candidate. This case raises important issues surrounding whether the law can apply different standards to print and online journalists, as well as whether a blogger has the right to post political criticism anonymously. The issues arose during last year's election cycle. While working on the gubernatorial campaign of candidate Rosa Scarcelli, Dennis Bailey created a blog called the Cutler Files, which launched in August 2010. With the help of Scarcelli and her husband, Bailey used the blog to anonymously launch political attacks on Eliot Cutler, the Independent candidate for governor. Bailey used the Cutler Files to publish a series of pages urging people to vote against Cutler for reasons ranging from Cutler's "elite private school" upbringing to hints that Cutler's incompetence as government manager "may have led to the deaths of 39 people." Before the November election, Culter's campaign discovered the site and filed a complaint with the State Ethics Commission, claiming that the blog violated Maine election law as an "expenditure" made on behalf of a candidate that failed to disclose its publishers or state whether or not the blog was authorized by a candidate. The Commission launched an investigation that led to the assessment of a $200 fine against Bailey for the disclosure violations. Bailey challenged the decision, but on January 31, 2011, the Maine Commission on Governmental Ethics and Election Practices confirmed its finding that Bailey violated Maine election law and ordered him to pay the fine (copy of decision here). The Commission found that Bailey violated the law by (a) failing to include his name and address on the website, and (b) failing to include a disclosure on his website that said the site was "not authorized by a candidate." Additionally, even though Bailey paid less than $100 for the site, which is below the normal reporting threshold, the Commission found that the fact that the site received more than 30,000 page requests in about a month made the site a valuable enough asset to trigger the expenditure requirements. Several Supreme Court cases have held that anonymous political speech is typically protected by the First Amendment. Thus, a law that penalizes a publisher for failing to provide his name may be on a collision course with the Constitution. The Comission disagreed and found that this exemption does not apply to the Cutler Files blog because the site was only dedicated to a single topic and was only online for a short period of time. However, the Commission does not articulate why the scope or duration of the publication justifies applying the law differently to bloggers than they do to traditional media. Maine's interpretation of the exemption is on even shakier ground in light of the fact that a similar exemption has been interpreted by the Federal Elections Commission to apply to websites and other Internet publications as well as print media. David Makarewicz is an attorney practicing internet law concerning privacy rights and copyright defense for websites and blogs. Visit Dave at Sites and Blogs to keep up with breaking Internet news.